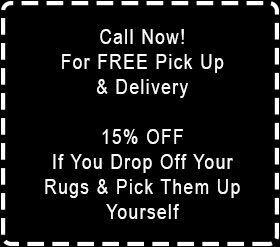 If you’re upset by an unsightly spot on the beloved area rug in your living room, then you don’t have to panic. Occasional stains are a part of life. They happen to the best of us. If a member of your household paints her nails in the living room, a simple spill could lead to a conspicuous spot on your rug. If you spill a glass of grape juice on your rug, it could take on an unpleasant purple blotch. Since successful spot removal jobs call for diligence, it’s smart to always leave them to professionals. When you call Magic Rug Cleaners for spot removal services, you can feel comfortable knowing that our professionals have extensive backgrounds in dealing with tough and persistent stains.